Our homes provide the perfect environment for fleas, even during the winter months when fleas primarily hibernate. Furthermore, the fleas on your pet account for only 1% of the total population living in your home. The remaining 99% are predominately developing fleas. Outdoor fleas die when the temperature drops below 30 degrees and remains there for several days. However, indoor fleas will require professional pest control in Fort Worth to rid your home of these pests. Due to the higher body temperature of cats and dogs, fleas prefer the animals. Fleas typically bite humans on the legs and ankles. Flea bites are itchy and generally small, red, and slightly raised. When fleas bite, they inject an anticoagulant chemical to prevent blood clotting. In addition, flea bites may pose numerous threats to human health. Bites may become infected, flea allergy dermatitis may occur, along with the threat of tapeworms, anemia, plague, bubonic plague, pneumonic plague, and flea-borne typhus to name a few. Most of the adult and developing fleas are in your pet’s immediate environment, especially their favorite areas. Flea eggs and excrement are often called ‘Salt and Pepper’ due to their appearance. If your infested pet sleeps on your bed, the Salt and Pepper is likely to be concentrated on the floor around your bed. Itchy bites on your ankle can signal a flea infestation, give us a call for pest control in Fort Worth. The best means to achieve flea control is with professional pest control in Fort Worth, which includes inspection, home prep, treatment of the home, and pet treatment. Additional steps the homeowner can make are to seal gaps, holes, cracks, and crevices where other hosts of fleas, such as mice and rats, may enter the home. 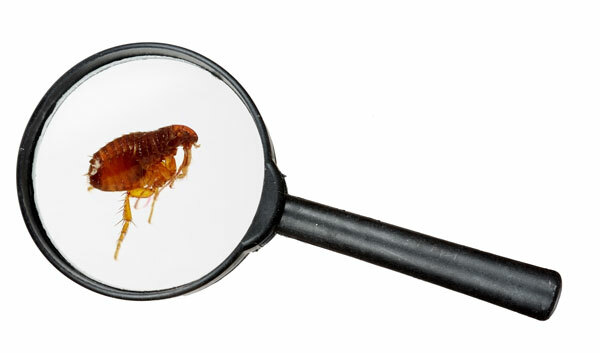 When a flea infestation is present, prompt treatment with professional pest control in Fort Worth is essential. The longer you wait, the more difficult it will be to get rid of fleas. Eggs will not be attached to your pet; they hatch in upholstery, carpet, rugs, bedding, and even cracks in the floor. A well-groomed lawn offers less hiding places and food sources for rodents, and other animals that fleas feed on. In addition, fleas can pick up deadly diseases from their hosts, potentially transmitting them to your pets and you. Contact The Bug Dude to rid your lawn and home of potential pests with professional pest control in Fort Worth. When taking your pets outside, use a leash to reduce their entry into potentially infested areas. Provide routine baths with a flea control shampoo and provide regular grooming with a flea comb for your pets. It is essential to use flea treatments as recommended by your veterinarian. Wash the pets bedding every week. Clean and vacuum your home frequently to help remove fleas. Immediately empty the canister or remove the vacuum bag and place in the trash outdoors to prevent fleas from hatching in the appliance. Consider routine treatment for your home to prevent future infestation of fleas in your home. When you find adult fleas, there may be hundreds of eggs already in your home. Eggs take 7 to 14 days to hatch, and the breeding cycle for each female begins within 48 hours after feeding. Contact The Bug Dude for professional pest control in Fort Worth to rid your home of fleas at all stages of the lifecycle. The home’s entire flooring will require vacuuming, including under furniture, appliances (including those permanently installed, such as the dishwasher), and inside HVAC ductwork as well as possible. Remove cushions from the furniture, and vacuum underneath, vacuuming the cracks and interior of furniture as thoroughly as you can. Extra effort is essential to flea control, as the larvae will spin cocoons in as little as 5 to 20 days after hatching. The cocoon stage is the final developmental stage before the adult flea emerges. The adult flea does not emerge until a potential host is detected by vibration, rising levels of carbon dioxide and body heat associated with the host. A pet or people moving around in the house alert the flea to emerge from its cocoon to feed within 48 hours. Shortly after the first meal, adult fleas will mate and the female will begin laying eggs on her host within a few days. Female fleas require a blood meal before they are able to lay eggs. Break the cycle of fleas in your home by calling The Bug Dude today, to provide pest control in Fort Worth. A common indication is pets scratching and grooming themselves. People may experience flea bites which leave behind itchy bite marks, although there are numerous causes of irritated skin. Consult a doctor before assuming your home has a flea infestation. The presence of flea dirt and flea feces can indicate flea activity. Flea dirt looks similar to coarse ground black pepper, and may be seen where pets sleep and hang out. Homeowner’s often mistakenly believe treating fleas on their pets will rid the home of fleas. Effective flea control involves both professional chemical treatment and physical methods in the home, such as vacuuming and treating your pet for fleas. Contact The Bug Dude for professional pest control in Fort Worth.